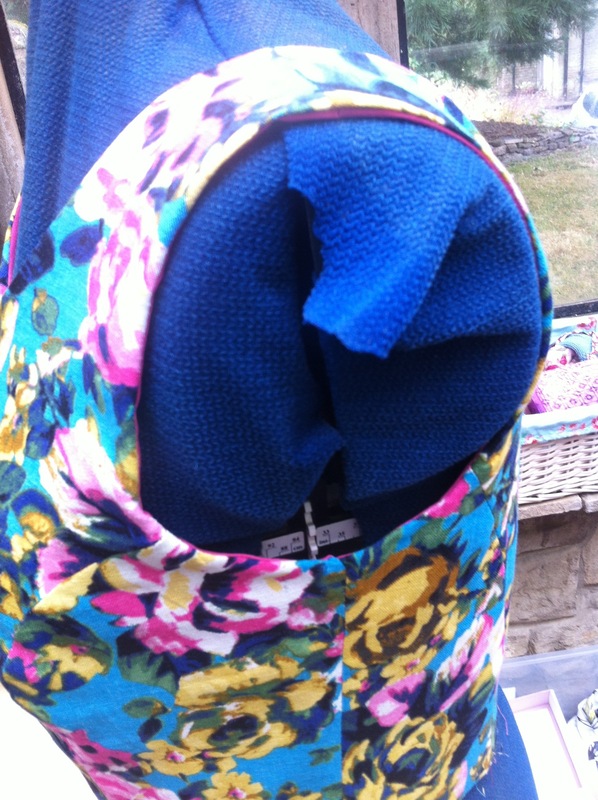 This year I will be sewing…. A wedding dress! Well, I am getting married! The proposal happened over the Christmas holidays, it wasn’t a huge down on one knee gesture but lovely all the same, on the beach where we had our first date 2 and a half years ago now. We have all been living together nearly 2 years and it feels right to take this step. We want a smallish village wedding, in my mind (and my Pinterest boards!) I see bunting, giant paper flowers, candles and a vintage style. We want to be married in the tiny church on our Lane and walk to the village hall. 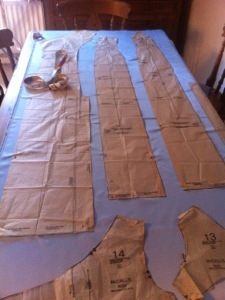 I want to make my own dress. My mind is spinning with ideas but lace is featuring heavily, especially lace half sleeves. I’m trying to come up with some ideas as to the style. I don’t think there will be a pattern exactly like I want so I’m going to have to do a bit of adapting but that’s ok.
I’ll be back soon with some images downloaded from my brain to keep a track of this process. Okay I do hate photos if myself, especially when I know I feel a bit chunky but I needed to post a photo if the finished Elisalex dress from back in august. 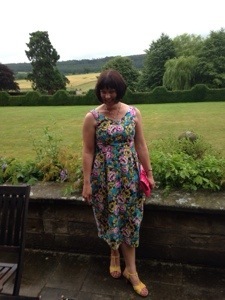 I wore it to a wedding and felt lovely in it. 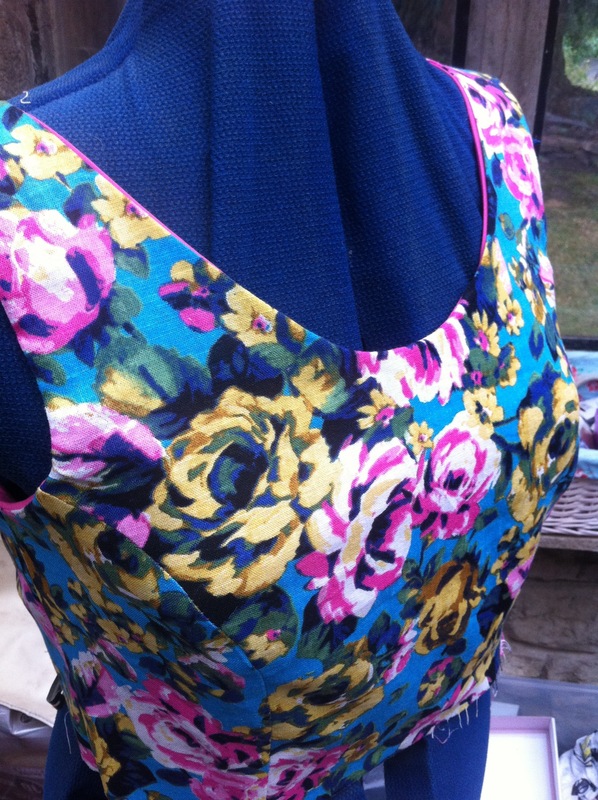 It’s so easy to sew and such a flattering style. Construction details on my blog too. I have a few more finished items to blog but I’m busy at the moment with another Elisalex for another wedding but this time it’s a Halloween theme. 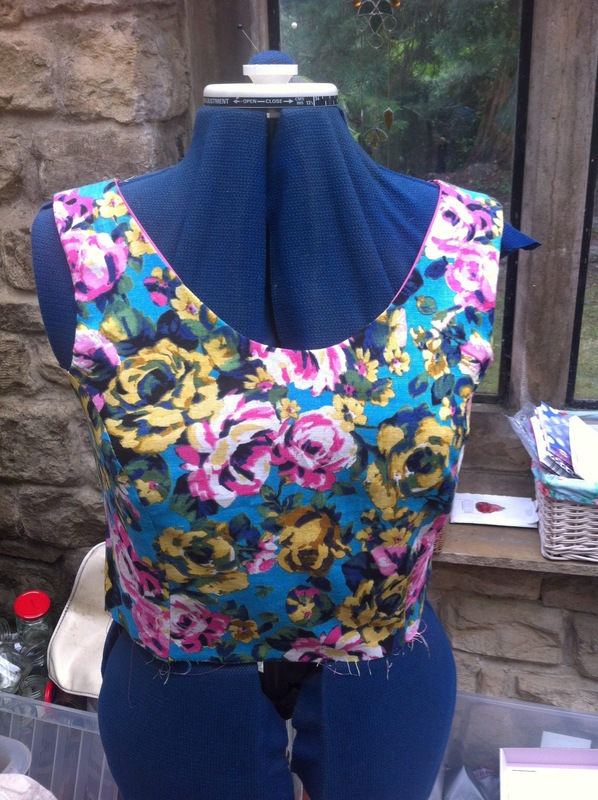 I’ve also lost a stone in weight to had to retrace the pattern a size smaller! Back soon with all the deets. 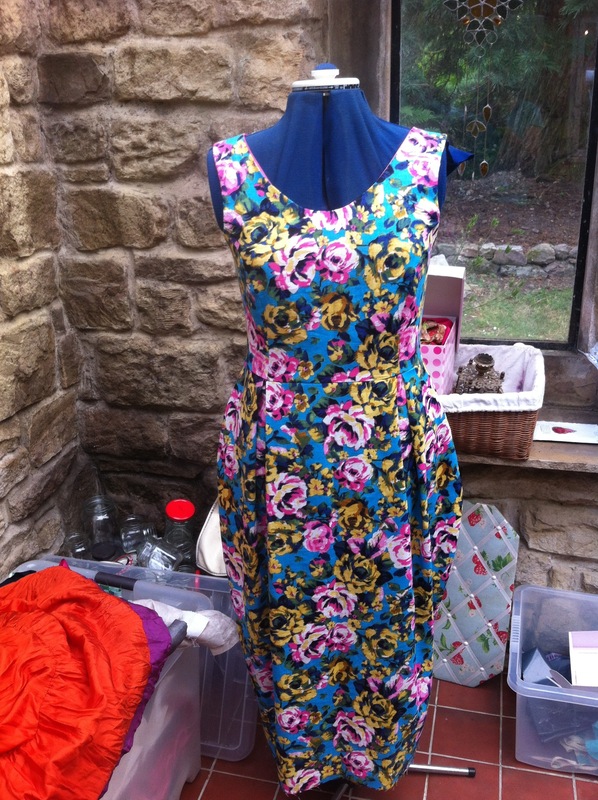 I’ve also made Sadie’s dress for the wedding! Unfortunately she wasn’t up for doing multiple poses to show off the dress! 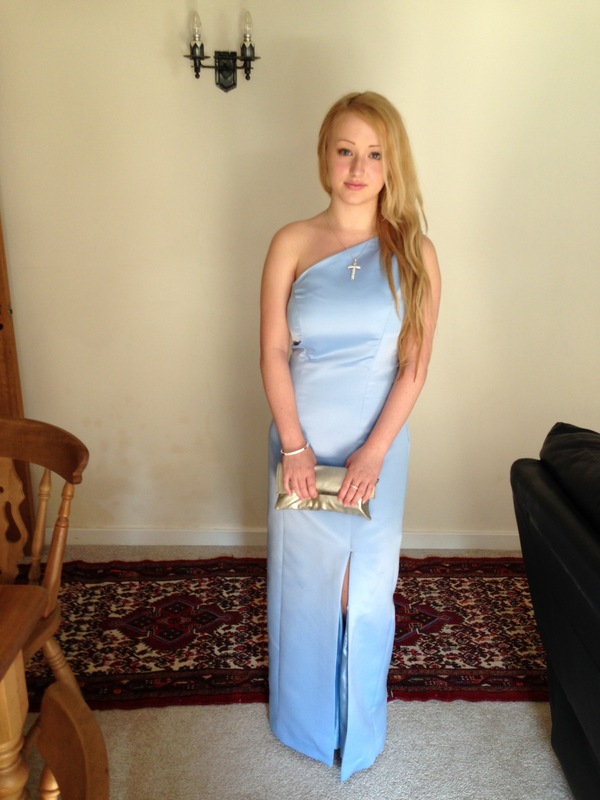 However, she loved it and said she got asked lots of times where she got her dress from, so that was nice. Glad it’s over though, I would be no good making wedding dresses as I stressed out plenty over this one! Time for some me-sewing now I think. I kept returning to the Elisalex from By Hand London and looking at it closely. 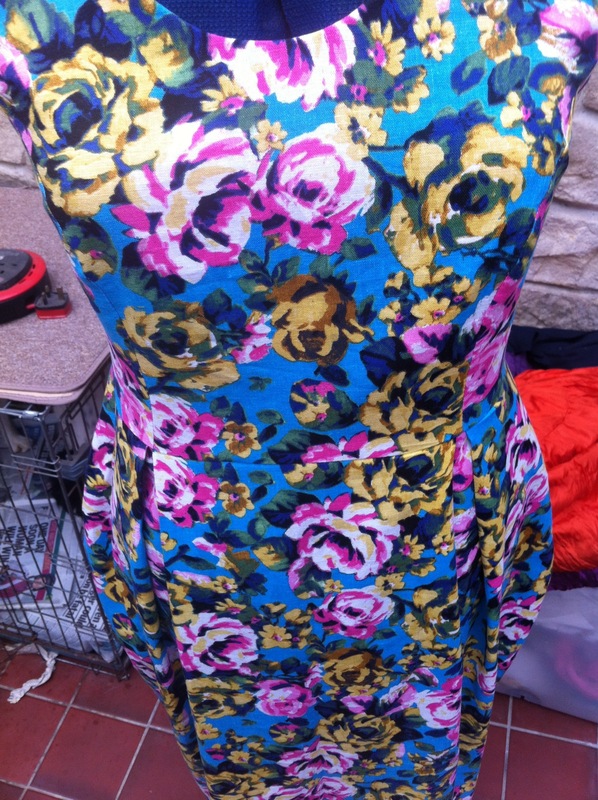 I loved the shape but was worried it would make me look huge with that tulip skirt. 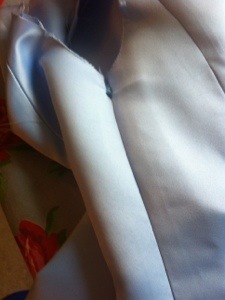 In the end I decided to buy the pattern and used an old curtain to run up a muslin. My goodness, I changed my mind!! I quickly decided this was going to be the pattern I used for the next special dress I needed. 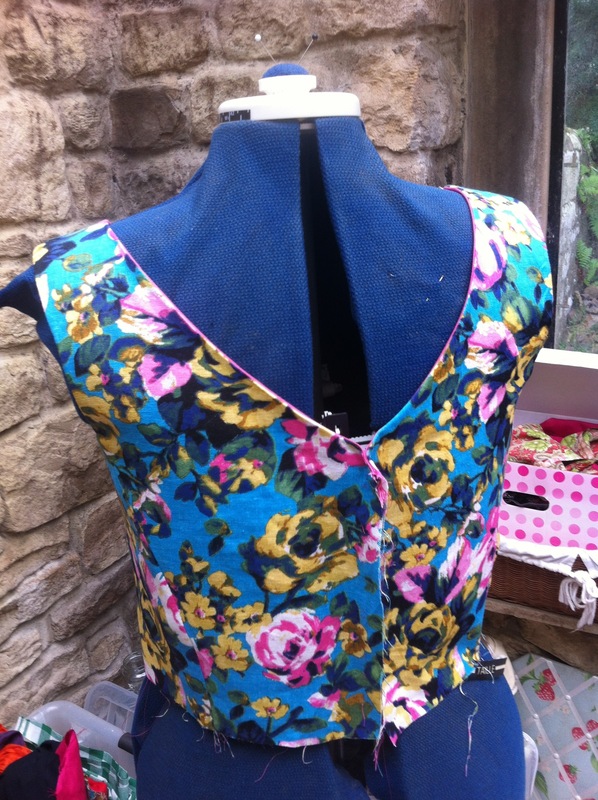 This dress comes together beautifully and sewing the bodice is a pleasure as its finished off so neatly. I had to take a tiny bit off the centre back to stop it gaping a bit but otherwise it fit perfectly. The skirt is very clever. Although it feels like far too much fabric while you are cutting and sewing it, those pleats do such a fab job of creating the tulip shape and it just works! 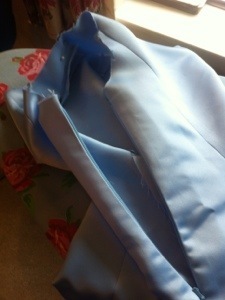 I managed to get my pleats and seams lined up (nearly!) and I'm really pleased with how it's turned out. I have still to decide on the hem length – this will depend on my shoe choice which at the moment is veering towards some fuschia pink high heeled mules – sort of retro and elegant, like this dress. 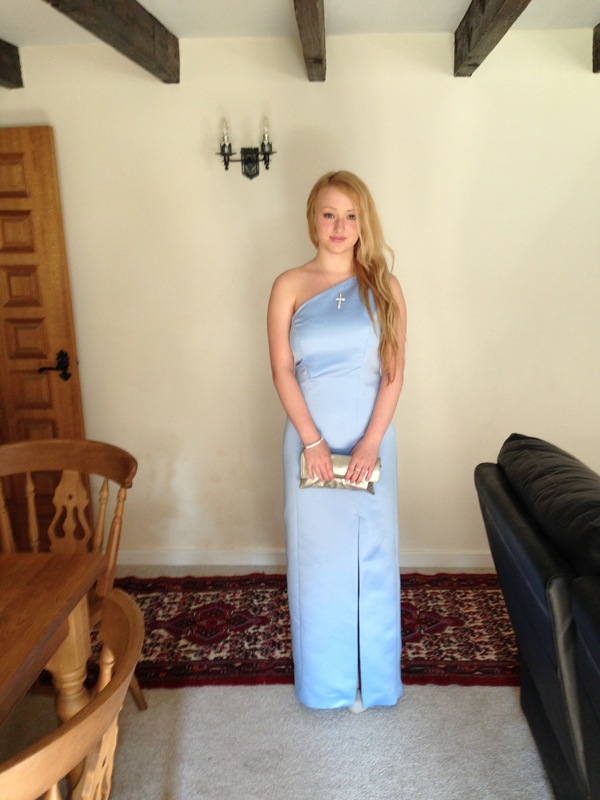 I know I haven’t posted a pic of me wearing it yet – I will do one I have hemmed it but I already know I love it! I’ve got plans to make a sleeved version in a brown suiting fabric which will be perfect for work. I have also ordered both the Anna and the Victoria so that should keep me busy for the rest of the summer…. After discussion she decided on a straight column dress, one shouldered, princess seams, very fitted with a split on one side. 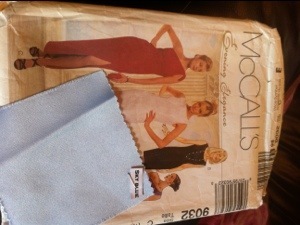 This is the pattern and the fabric we finally decided on. 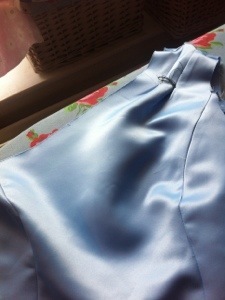 It’s duchess satin in a pale blue and it frays like hell so it’s a good job the dress will be lined. We have had many fittings and adjustments (I made a muslin out of curtain lining to get the right fit first) and today I finally faced my fear of the invisible zipper foot and inserted the zip. I’m pleased with the quality of the result. It’s all coming together! 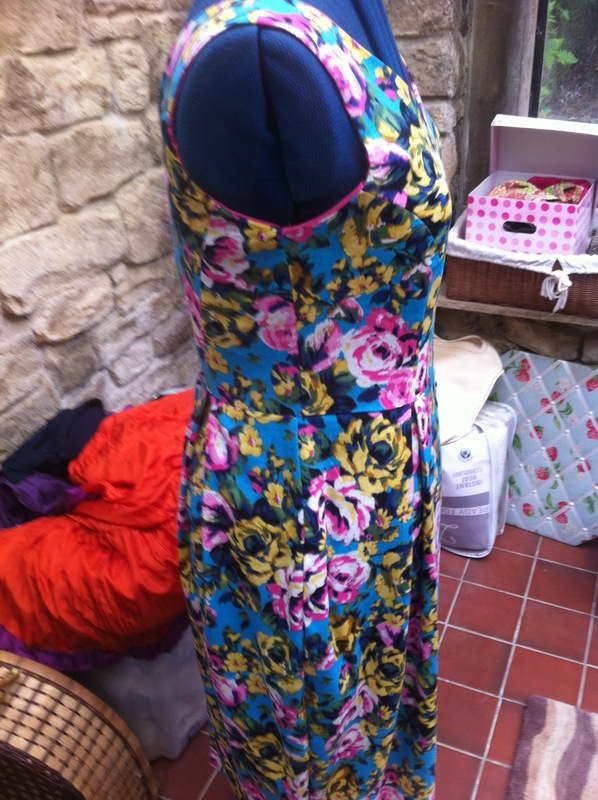 I’m going to stitch the lining this afternoon and hope to have the dress finished apart from hemming, by Sunday. 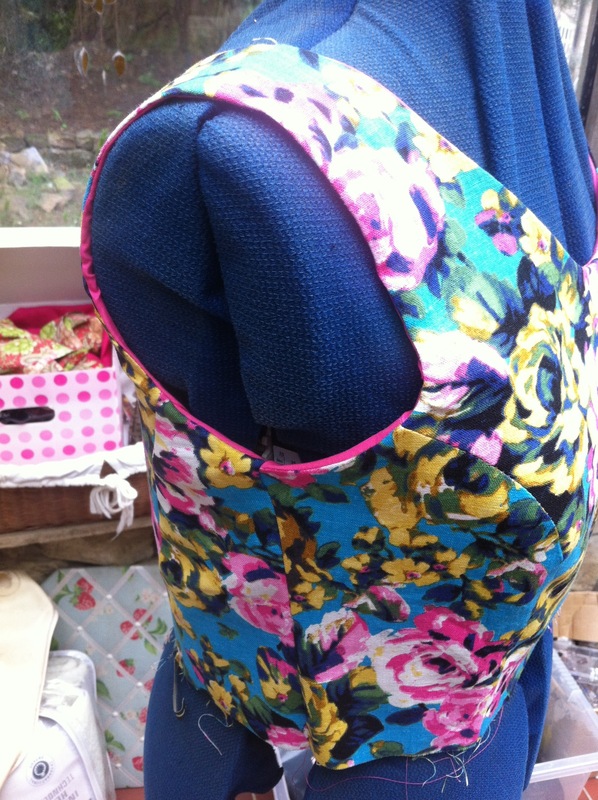 I have lots of my own sewing projects planned once its all over! I also want to spend a bit more time on this blog which is very sadly neglected. Well, I’ve been wanting and meaning to start a blog for ages. Mainly, to record what is happening in my life (so much has changed in the last 2 years) – I thought it would be a good way to record important and small things that happen, or amuse, sadden and interest me. So here I am. Of course, it’s not just about me. There are 7 of us in this blended family that is still establishing itself. Me and Geoff wanted to be together after spending some time travelling between Whitley Bay and Castleside (an hour each way). So, after much discussion we decided that I would move nearer to where he is from in County Durham, a permanent move with my 3 children, Geoff and his two children. 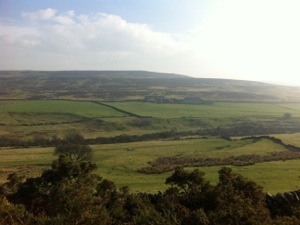 We moved here to a beautiful part of the countryside in County Durham, 11 months ago. We were lucky enough to find a house big enough for the two of us and our 5 children, plus assorted creatures. We are about half a mile from the Derwent Reservoir, on the very edge of the fells and find ourselves part of a small village (more on that another time!). People seem to think that we are living on a country estate but in reality it is a very old coach house which has been extended. The original part was built in the 1600’s to house the wagons and horses linked to the small church which stands next door to us. This picture was taken just after we moved in, when we had some lovely spring-like weather during early March. 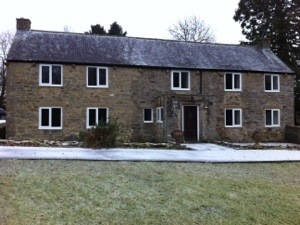 Here is a photo of the front of our home as it looks now, in the freezing weather. We have a lot of outside space too, part of the garden is a nice lawn, the rest is what I would call “managed wilderness”! Part of it used to be a tennis court (a long time ago) and this is now covered in wild garlic and houses our hen enclosure. Beyond that is a wooded area which is home to rabbits, wild pheasants and the odd deer. More about the hens next time, and their new friend – the rooster. 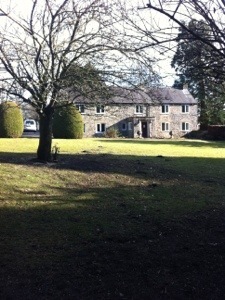 So, we are on the edge of the fells, surrounded by beautiful scenery and farms – I really do feel lucky! This photo was taken at the end of our lane.